This is a 5/5 stars⭐️read for me! If you have been following me on my blog or social media for a while, then you know I don’t pick up non-fiction as much as I do fiction. But once in a while I do and this is one of those occasions. I finished Running For My Life the other day and I am still feeling quite emotional. 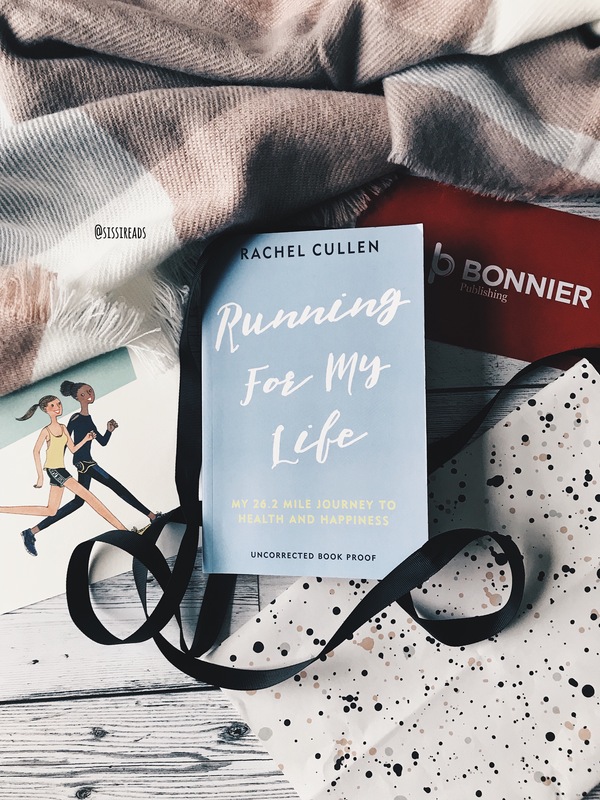 It is about Rachel’s journey to self-discovery through running. I absolutely LOVE it. This book is coming out in January 2018 and my full review will be up when closer to the publication day. More details to come. Thank you Bonnier Publishing for providing me with this advanced copy. I can’t wait to read it too! I’m so glad you loved it! I found out about Rachel’s book when I was looking for bipolar-themed books.I like to check out anything that seems interesting & different since I have bipolar. My memoir called “Birth of a New Brain – Healing from Postpartum Bipolar Disorder” – the 1st book of its kind that addresses this form. It was published last month and I’m thrilled it’s getting wonderful reviews and endorsements by people I’ve admired for years. As a former long-distance runner, I look forward to supporting & promoting Rachel’s book. We’re following one another on Twitter. Hi Dyane, thank you very much for your comment! I cannot wait for you and others to read Rachel’s books. It is very inspiring.